Over 40 movies are slated for 2017, throughout the entire year, that will appeal to fans of these favorite characters and brands: superheroes, classic characters, favorite playthings, all with relevant new content for today’s generations of movie-goers and experience-seeking customers. The year of 2017 is shaping up to be another substantial year for strong licenses and licensed properties, and brands with multi-generational appeal. There are a number of factors that support this premise. Character licensing is no longer relegated to the merchandising power of toys and games. Strong theatrical releases, live events and multi-tier tentpole events are driving merchandising dollars into apparel, publishing, sports, entertainment theme parks, and even more branded lifestyle categories. For example, it was no coincidence that Pokémon Go attracted a wide swath of the population across multiple age groups. In 2017, the Pokémon brand celebrates their 20th anniversary. Kids who grew up with Pokemon are now young adults, for whom augmented reality treasure hunts were a positive pat-time for Summer 2016. Kids and parents also joined the foot traffic, as tens of millions of people across the globe hunted for the elusive Pokémon characters. Expect more Pokémon news throughout 2017, in new and exciting formats that will continue to break barriers with technology innovations. Promoting inter-generational play, active outdoor activities and the “Gotta Catch Em All “mentality will continue throughout 2017. Other strong cross-generational brands celebrating major milestones include Star Wars 40th anniversary. Their first action figures for boys were launched in 1977, and stores couldn’t get enough merchandise to meet demand, even then. This dual target audience brand (kids and adults) will be strengthened with another new Star Wars movie, Episode VIII in late 2017, and the Rogue One movie (Holiday 2016) will continue to offer new footage and characters with epic stories in late 2016 and spilling over into 2017. On a softer side, Care Bears will be celebrating its 35th anniversary with a Fall 2017 movie release. TeleTubbies are back, marking a 20 year anniversary with new TV episodes. Their storyline has been updated for today’s kids by updating the television screen on their tummies with touch-screens. Power Rangers continue to appeal to new fans each year, and will be celebrating 25 years of Power Rangers with their own 2017 movie launch. DragonBall Z (30th) and even Dirty Dancing (30th) will continue to tug at Millennial heart strings, with young adults and new parents remembering their childhood favorites. With this knowledge of upcoming movies and strong anniversaries, store shelves and online channels will continue to appeal to the dual-target market audiences, and offer an inter-generational connection for the young and the young-at-heart. Black Friday weekend is quickly approaching and we have some great Holiday gifts for all the kids on your shopping list! This LEGO DUPLO Batman Adventure set is designed for young builders 2 – 5 years old. Kids can play with Batman™, Superman™ and Wonder Woman to save the day and create endless adventures with these iconic super-heroes. This set includes an easy-to-build opening bridge, Batman’s Batboat, Wonder Woman’s motorbike, and a cat. These Duplo bricks are over-sized and created to be fun and safe for small hands. As your little builder grows up, they will be able to use Duplos with other Lego sets as they are 100% compatible. Learn more here. 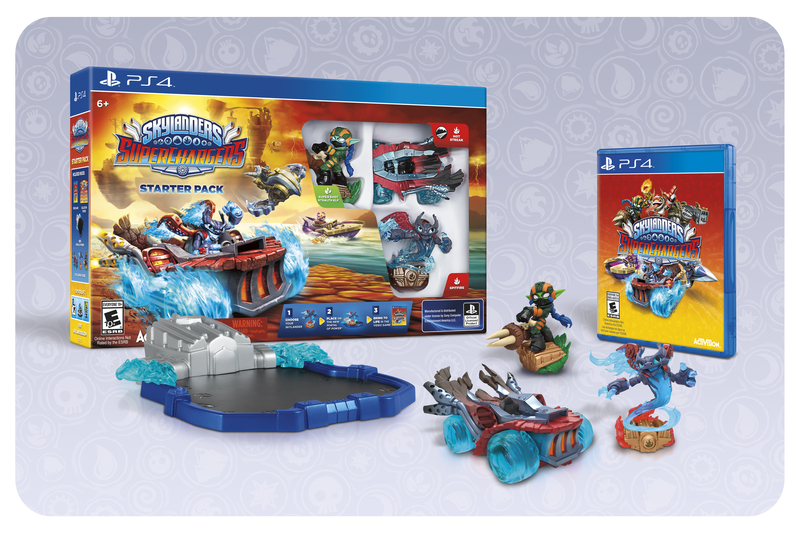 Activision just launched Skylander SuperChargers introducing “vehicles-to-life” that are playable in the real world and virtually come to life in the video game. Now, kids can play in the air, under the sea or on land with NEW Super-Charged characters and vehicles, including race cars, jets, submarines and more! ALL of the existing 300+ characters can be used in this new game and NOW, they all can drive! Get it here. 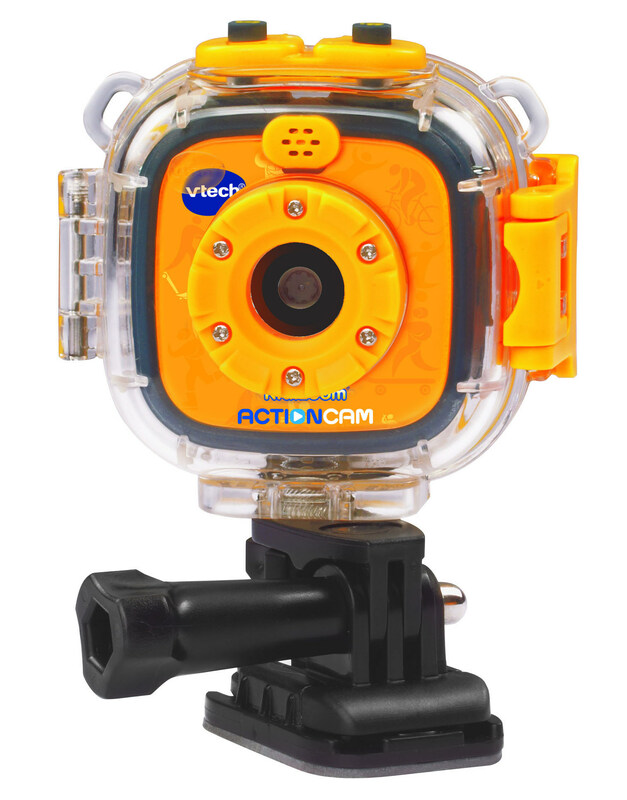 Kids can capture digital photos or videos of their active lifestyle with the VTech Kidizoom Action Cam. It is designed to be durable for kids as young as 4 years old, with different mounts to attach to their helmets, bikes, skateboards and scooters, plus a case that is waterproof up to 6 feet and will protect from splashes. An affordable way to introduce kids to photography. Parents or older siblings can help them download and share their images. Get it at VTechKids.com! R.E.V. are super-fast Robotic Enhanced Vehicles from WowWee that are app-enabled remote control battle cars. The starter pack includes 2 cars AND 2 ways to play: One player can play versus the Artificial Intelligence controlled drone car OR battle against their friends. Simply download the free app, connect your device to sync with the vehicle, and start playing right out of the box! These cars are super-fast AND do NOT require a special track or surface to race, or battle on. Play anywhere! Learn more here. For the Maker in your life, the ArcKit Architectural model building kit is a great hands-on way to teach practical STEM concepts with architectural design. The award-winning model kit comes with re-usable construction pieces like walls, windows, and floors. You can customize your design with printable adhesives like solar panels, wood textures, and terracotta tile. Easily put the set together using quick-click assembly and then re-construct something completely different. The sets include access to the digital materials library and the Sketch Up 3D Warehouse. Developed by a real architect in Ireland, Damien Murtagh, and available exclusively at Barnes & Noble this Holiday Season! Winner of multiple awards such as, The Parents Choice Gold Award, Irish Design 2015 Award, and the Red Dot Design Award! Learn more at ArcKit.com! 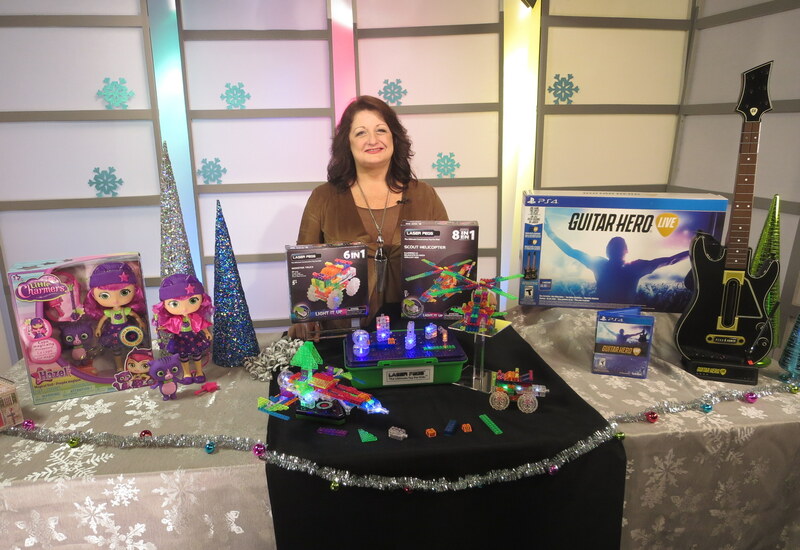 The holidays are right around the corner and we have an insider’s look at the hottest toys and games of the season! 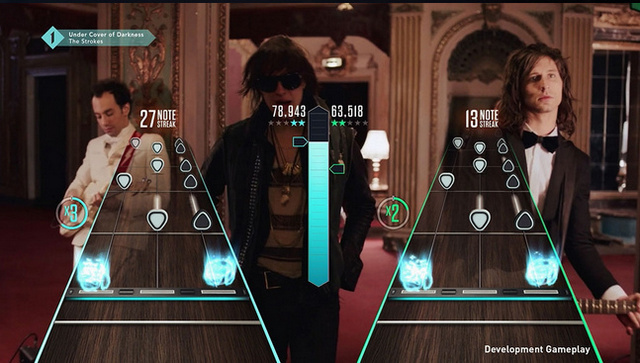 Guitar Hero, the pop culture phenomenon from Activision, makes its return with Guitar Hero Live. It’s a first-person, live-action gaming experience where the player is the star of the show! Feel the rush of being on stage and experience the reaction of the crowd. The game also introduces GHTV, a 24-hour playable music video network that lets fans play along to a constantly-updated collection of official music videos from classic rock to the newest hits. Players can compete with their friends, as well as players from across the globe. The guitar controller has been redesigned to feature six buttons so it looks and feels more authentic and is fun for players of all abilities. Learn more about Guitar Hero Live here. 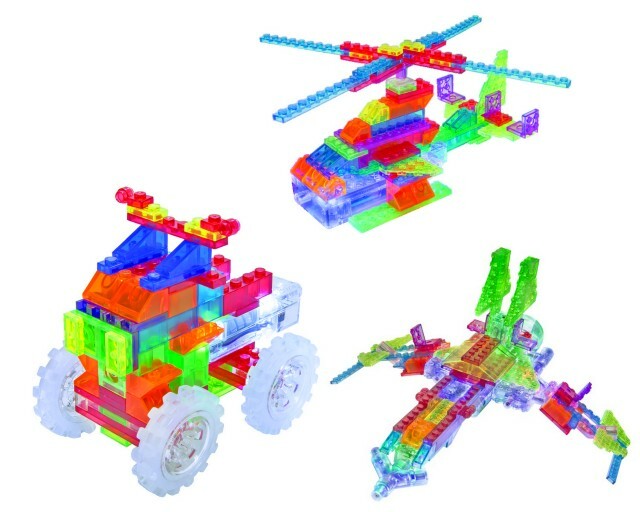 Laser Pegs is the original light-up brick construction toy that combines lights and building, two things every kid loves! Imagine the fun children will have when constructing illuminated monster trucks, space jets, cars, animals, tanks, and more! Each kit includes instructions to build multiple models. Laser Pegs come with a patented “Slide, Stack, and Spin” feature. The sets provide STEM learning, hand/eye coordination, creativity, math, spatial and language skills. A great value because they are compatible with the “Leading” brick sets. Learn more here. 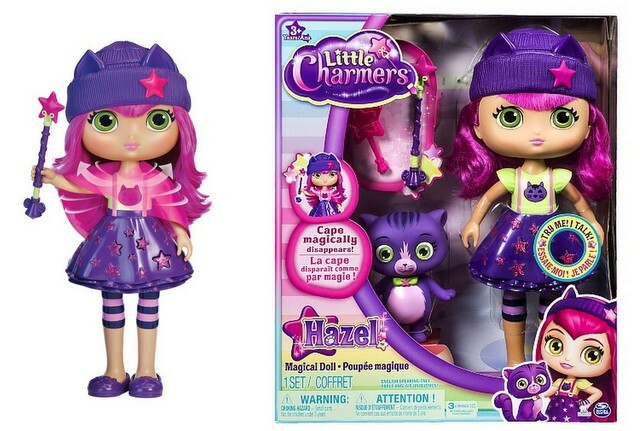 Kids will love role-playing with Hazel, the popular lead character from the new Little Charmers TV show. Bring home all the magic of Charmville with 12″ Hazel Magic Doll from Spin Master. She is dressed in her signature “charmer-in-training” outfit that includes her removable hat and extraordinary cape. Watch as Hazel’s cape magically disappears with just the press of a button! She comes with her charismatic kitty, Seven, her special magic wand, a hairbrush, and can say eight charming phrases! This is great for ages 3+. Learn more here. With the school year wrapping up, many parents are making plans for a summer getaway with the kids. Reyne Rice is here with the Summer Fun must-haves this season! Many parents use their cell phones to capture family memories but those photos weren’t always the sharpest shots. Now, LG has a new smartphone with a 16 megapixel digital camera that takes professional photos, even in poor lighting and is easy to use! The LG G4 is on par with a DSLR camera and its laser auto-focus captures photos in milli-seconds, so you don’t miss that perfect shot. You can admire your pics on a brilliant 5.5 inch Quad HD IPS Quantum Display. 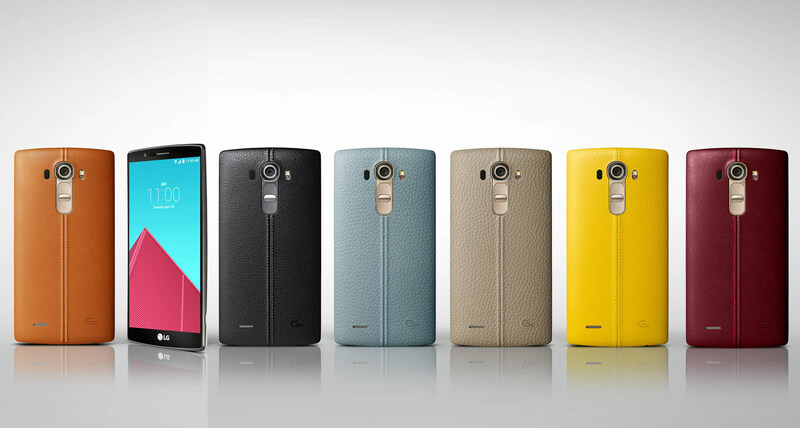 It will be available in genuine full-grain leather (in six colors!) through Verizon, AT&T, Sprint, T-Mobile, US Cellular and Best Buy. Ever hear sounds blaring from your child’s headphones in the backseat? 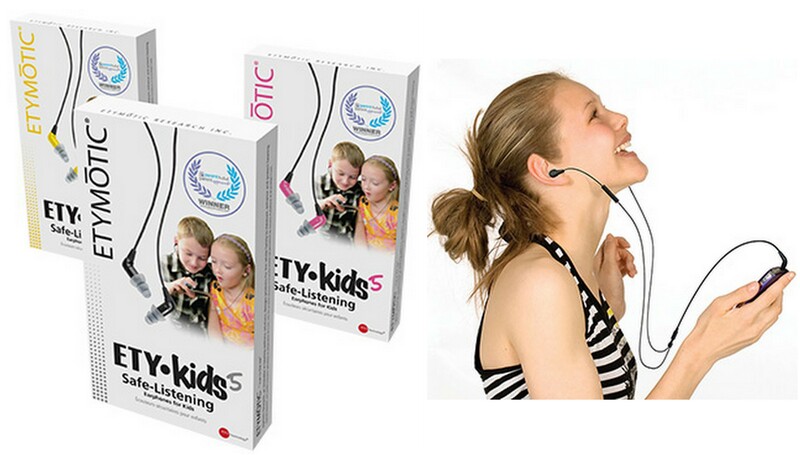 The ETY Kids safe-listening earphones from Etymotic block background noise so your child can hear every sound in near hi-definition detail WITHOUT turning up the volume! Even at the maximum volume setting on portable players, kids can listen safely for up to four hours per day. Learn more here. No longer do you need to scramble to find crayons, coloring books, snacks or other items as you rush out the door. Invented by a mom, ZoomKIT is a portable activity table-top that you can grab and go. It works great with your car seats and strollers or as a stand-alone activity center. It is designed to hold modular, swappable activity kits. 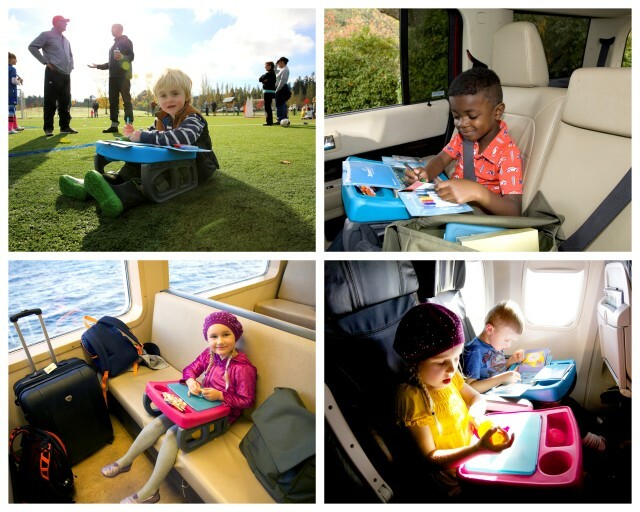 This portable system allows parents to keep moving and keeps kids engaged during travel and wait times such as doctor’s offices, road trips, airplanes and more! Learn more here. Summer blockbuster movies inspire toys that allow kids to re-create all the thrilling action from the film. In LEGO Indominus Rex Breakout, the huge Indominus Rex from the movie Jurassic World is on the loose in the impound! You can set off in hot pursuit in the helicopter making sure to evade the dinosaur’s snapping jaws and swiping claws! You must get that dangerous dino safely back in the pen. It includes 4 minifigures with accessories: Zach, an ACU trooper, Dr. Wu and a vet. Visit LEGO.com for more information. 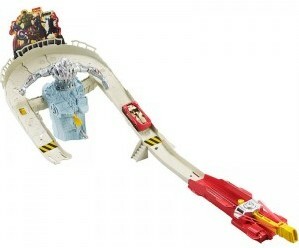 This awesome track set is inspired by the new Avengers: Age of Ultron movie. You use the multi-speed launcher to send your Iron Man car whipping around the track at lightning-fast speeds. Get your speed and timing right and save the day by defeating Ultron and making him explode! Visit HotWheels.com to learn more! 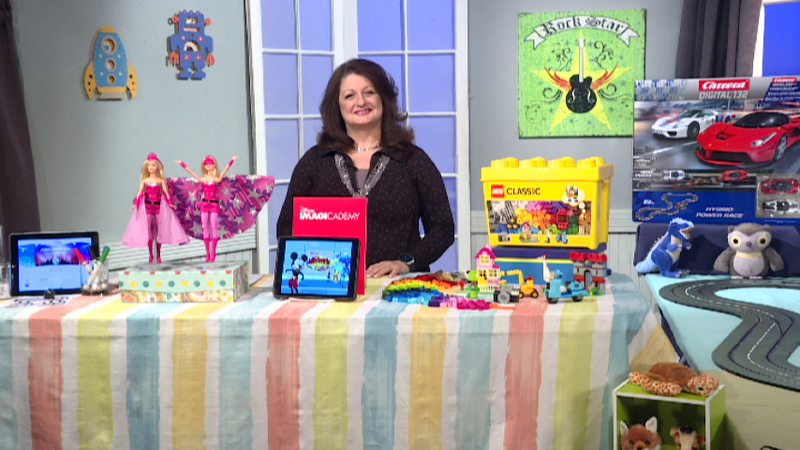 Our Toy Trend Expert Reyne Rice is at the New York Toy Fair showing us some of her favorite finds this year. 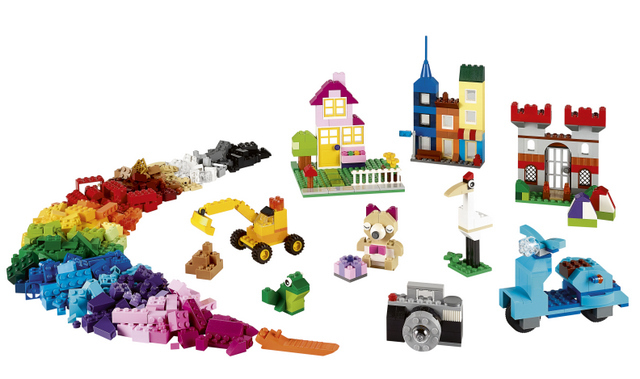 Celebrating imagination, LEGO offers a creative building experience for the entire family. This Large LEGO Creative Brick Box features bricks in 33 different colos, along with doors, windows, wheels, eyes and more to create anything a child can imagine. There are six sets available, no instructions, but lots of visuals to get kids started with building, right out of the box! The package provides built-in storage, making cleanup easy. Learn more at www.shop.lego.com and follow them on Facebook & Twitter! 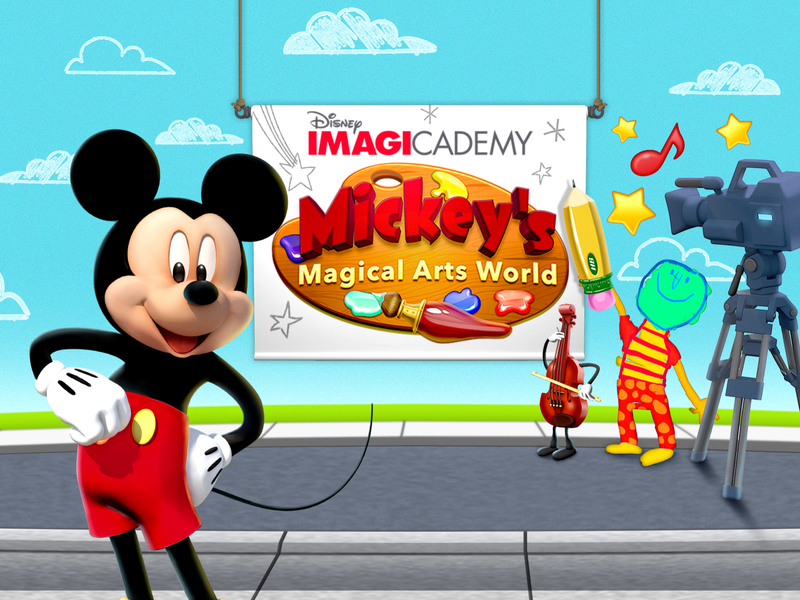 From Disney Imagicademy, we have Mickey’s Magical Arts World. With five inter-connected apps, children use learning-based tools to create their own Disney-inspired neighborhood. Kids can explore drawing, music, drama, cartooning and building skills. The Disney Imagicademy Parents companion app lets parents take an active part in their children’s progess. By year-end, Apps for Math, Science, Reading and Social Skills will be included; for kids ages 3 – 8. Learn more at www.DisneyImagicademy.com and be sure to follow them on Facebook! Mattel found that 9 out of 10 girls wanted to be BOTH a SuperHero and a Princess, so they combined the two! The Barbie in Princess Power: Super Sparkle easily transforms from her pink princess gown to her Hero alter-ego. The DVD introduces Barbie as Kara the Princess that turns frenemies into friends using her magical SuperHero powers, special gadgets and everyday acts of “Being Super”! Visit www.BeSuper.com to learn more and definitely visit their Facebook and Twitter pages for more info! Ozobot is the world’s smallest programmable robot and makes learning fun! Kids can program Ozobot to move and play on any surface. Using thick markers, kids can draw paths and instructions for this mini robot to follow on paper, OR use a tablet to unlock additional free apps. Using the new OzoGroove App, kids can teach their robot to dance and play other games as well! Visit www.Ozobot.com to learn more. Want one? Click here to get it at Brookstone right now! Visit them on Facebook and Twitter too! 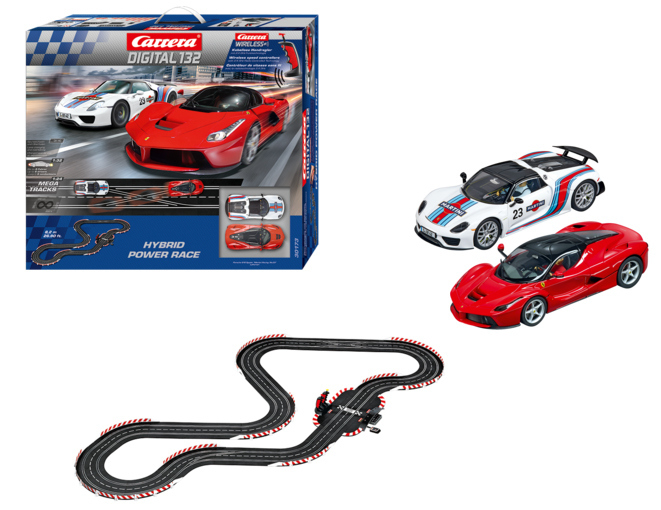 Let’s put the pedal to the metal with the Carrera Digital 1:32 Hybrid Power Race Set! It includes 27 feet of reconfigurable track with two exclusive cars, the retro-look Porsche RS Spyder and the sleek LaFerrari by Ferrari. With a 50-year heritage, the retro Carrera racing system adds digital technology by combining physical race-cars with a unique digital wireless 2.4 GHz controller system. Beginners and more advanced driving enthusiasts can enjoy racing together! Learn more here. Check them out on Facebook and Twitter too!